Enhanced BIOS Interface The enhanced BIOS interface also has the advanced features seen in the Smart Fan 5 UI, such as: the ability to set triggers based on different temperature sensors on the board, fan curve definition and the temperature interval setting, which can prevent fan rotation noise caused by sudden temperature change-all without having to load Windows. 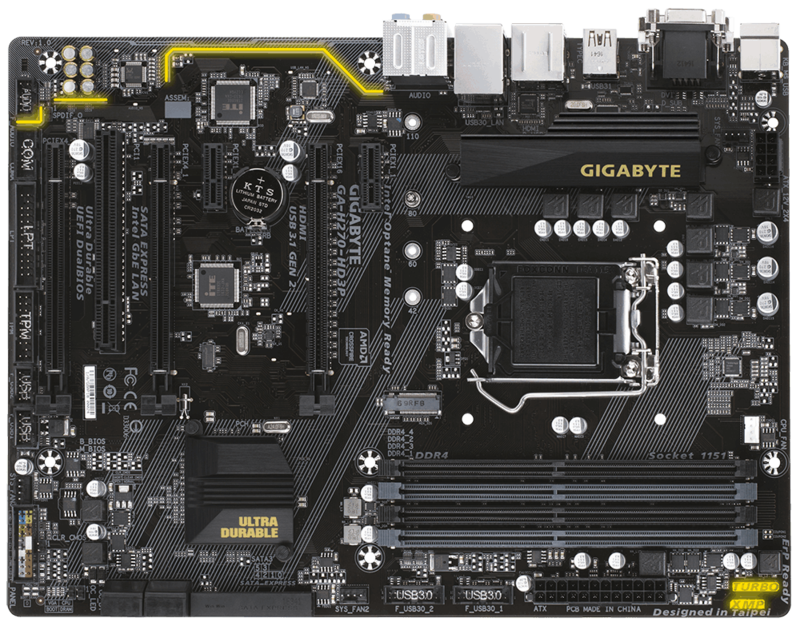 — — — Turbo B-Clock Built-in Advanced Performance Tuning IC Intel Processors Thanks to the onboard Turbo B-Clock Tuning IC, GIGABYTE enables users to overclock and push the limits of their processor. With the new linear range adjustment option of the Tuning IC, ranges from 95MHz to 150MHz are now possible. Turbo B-Clock overclocking range may vary according to CPU capabilities.— — Intel GbE LAN with cFosSpeed Internet Accelerator Software Intel Gigabit LAN features cFosSpeed, a network traffic management application which helps to improve network latency and maintain low ping times to deliver better responsiveness in crowded LAN environments. 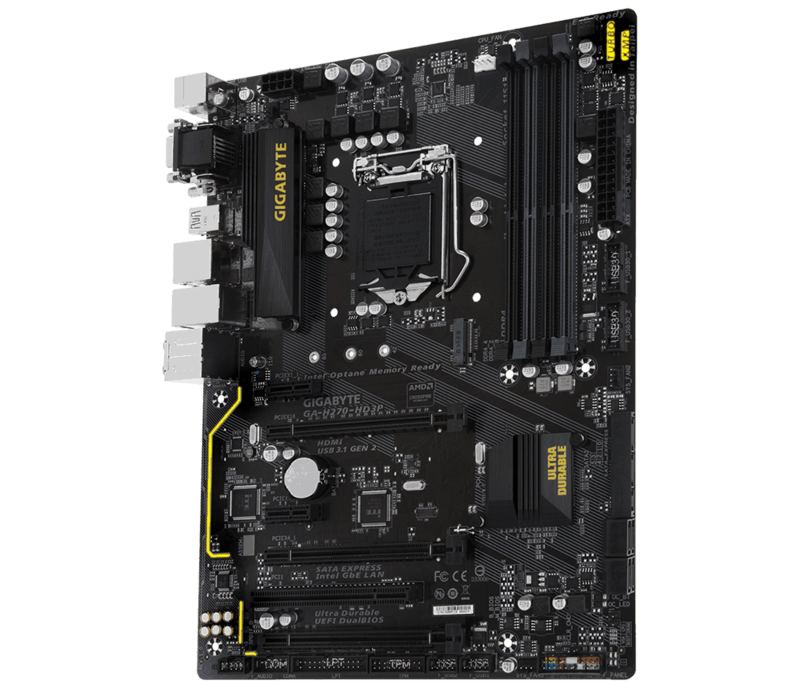 — — Fast Onboard Storage with NVMe PCIe Gen3 x4 110mm M.2 (Up to 32 Gb/s) GIGABYTE M.2 solution offers considerably faster storage performance and support for both PCIe and SATA interfaces for M.2 SSD devices. 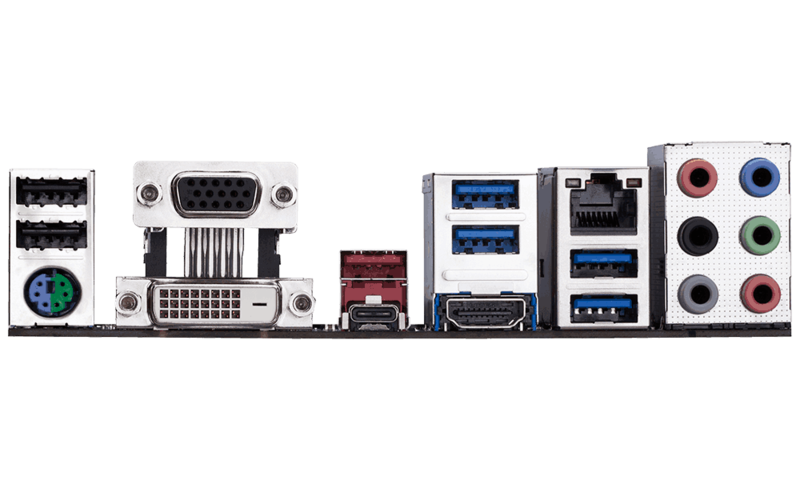 — 2-Way CrossFire Multi Graphics Multi-graphics configuration offers better graphics performance for gaming enthusiasts who demand the highest frame rates without compromising on resolution. 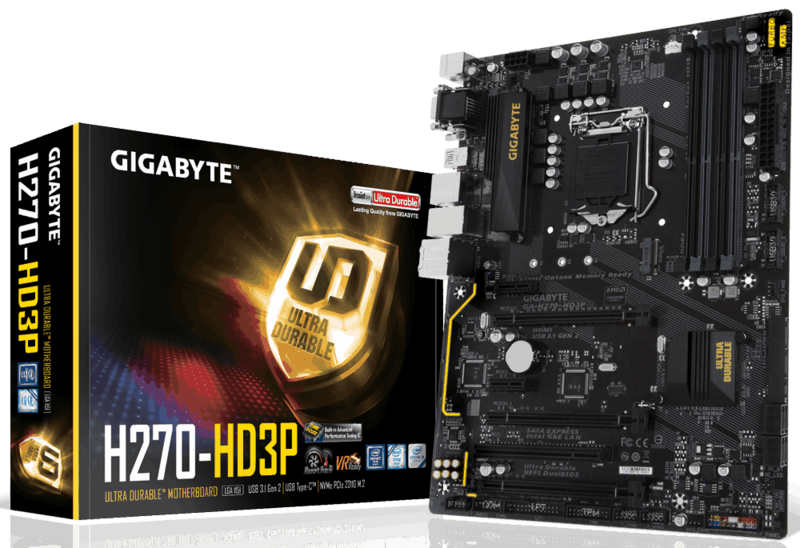 — GIGABYTE Extreme USB 3.1 Motherboards The ASMEDIA 2142 USB 3.1 controller utilizes 2 PCIe Gen3 lanes, offering a total of up to 16 Gb/s, which means you have extra bandwidth to take full control of the 10 Gb/s USB 3.1 ports. With twice the bandwidth compared to its previous generation, and backwards compatibility with USB 2.0 and 3.0, the much improved USB 3.1 protocol is available over the new reversible USB Type-C and the traditional USB Type-A connector for better compatibility over a wider range of devices. * The PCIEX4_2 slot shares bandwidth with the PCIEX1_1 and PCIEX1_2 slots. When the PCIEX1_1 or PCIEX1_2 slot is populated, the PCIEX4_2 slot operates at up to x1 mode.